This entry was posted in Guts and Glory Announcements and tagged Cannon Canada, MSV strings Canada, WeissCANNON Canada by GGTennis. Bookmark the permalink. Guts and Glory Tennis is delighted to announce that we have partially solved one of the huge logistical challenges we have been facing in providing products to non-commercial customers residing in Canada. In the past, the shipping costs to send a parcel with tracking and insurance was extremely high and made ordering from us undesirable. 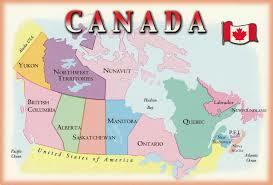 Recently we have found a method that allows us to overcome that challenge and ship to Canada for a reasonable cost. At this time we are only able to offer reels of strings we distribute from MSV, WeissCANNON and L-TEC. We hope in the future we will be able to extend the products available. Please remember that the current offerings are limited, but we hope if sales of these products develop as we project that we will be able to add additional products in the future. In the meantime we welcome our new Canadian customers and invite you to share the good news with your friends!